K.J. 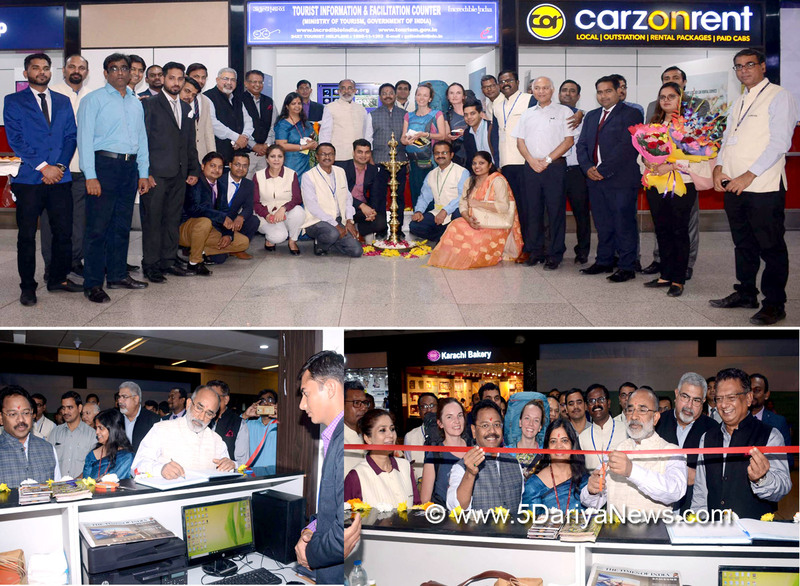 Alphons, Union Minister for Tourism inaugurated the Tourist Facilitation and Information Counter at Indira Gandhi International Airport New Delhi, today. The facilitation counter is located at the T3 terminal arrival gates of the IGI Airport. The Tourism Ministry is also starting Facilitation Counters in Mumbai, Chennai, Kolkata, Gaya and Varanasi.Opening the facilitation Centre for visitors, which is first of its kind by the Government in IGI airport, the Minister said that this shall be of great help to the tourists visiting the country. The Minister added that the counter shall cater to non-English speaking tourists also as the Counter will also be connected to the 24x7 Helpline – ‘1363’ of the Tourism Ministry where the tourists can speak directly with the foreign language agents and get guidance in French, German, Italian, French, Portuguese, Russian, Japanese, Korean, Chinese and Arabic.The Ministry of Tourism has set-up this Counter with an objective to provide 24x7 information to both domestic and international visitors arriving into IGI Airport, New Delhi. The Tourist Facilitation Counter will be manned by 2 staff and a Supervisor to answer the queries of the tourists and also guide them with information. The Counter is also stocked with sufficient high quality tourist literature and brochures to be provided to the tourists.